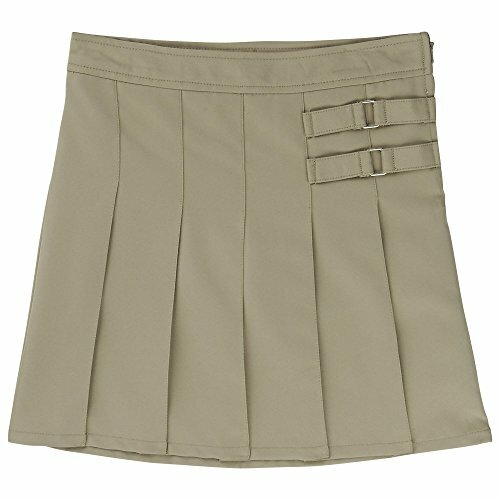 100% Polyester Girls' Scooter Skort School Uniform. Pleated front scooter skort with hidden stretch sports shorts, side zipper closure and two buckle tabs at the top for subtle detail. By French Toast.